This week we’ve been inspired by some recurrent Home Interior trends that we’ve seen whilst taking on a variety of different properties For Sale & Rent. We have been loving your positive feedback regarding this section on our ‘Lifestyle’ site and we hope you enjoy this installment as much as the last! 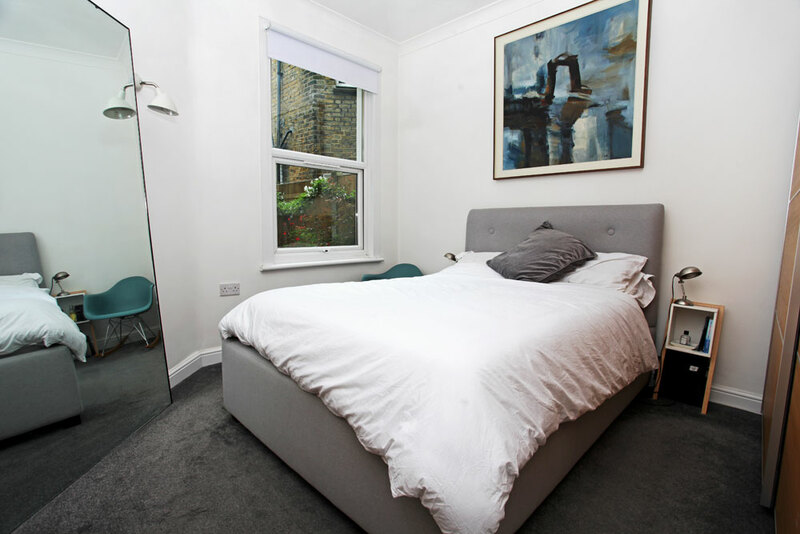 It’s a little known fact in the interior design world that if you want to create the illusion of more space or light within a room than the best and most cost effective way to do so is by adding a mirror. 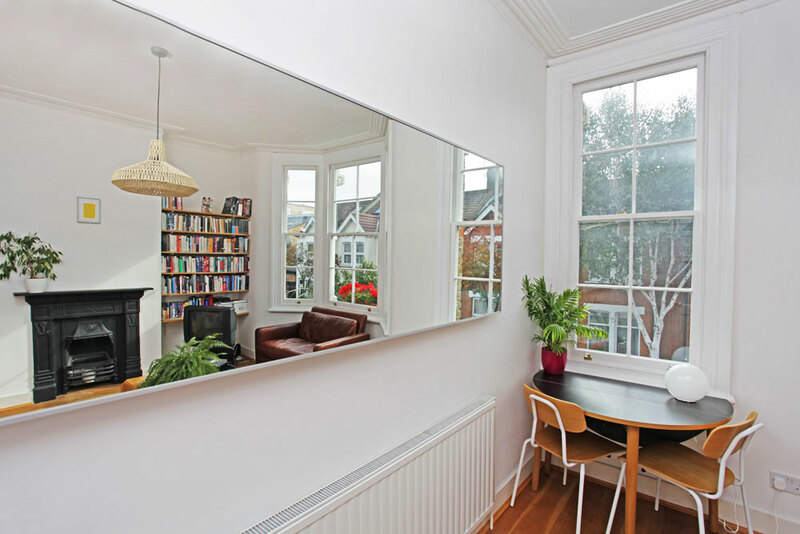 The above large mirror is the perfect example of how to create the illusion of more space within a smaller room, and another great trick they have used within this area is by angling the mirror you get to see more depth within the reflection therefore visually creating more space . 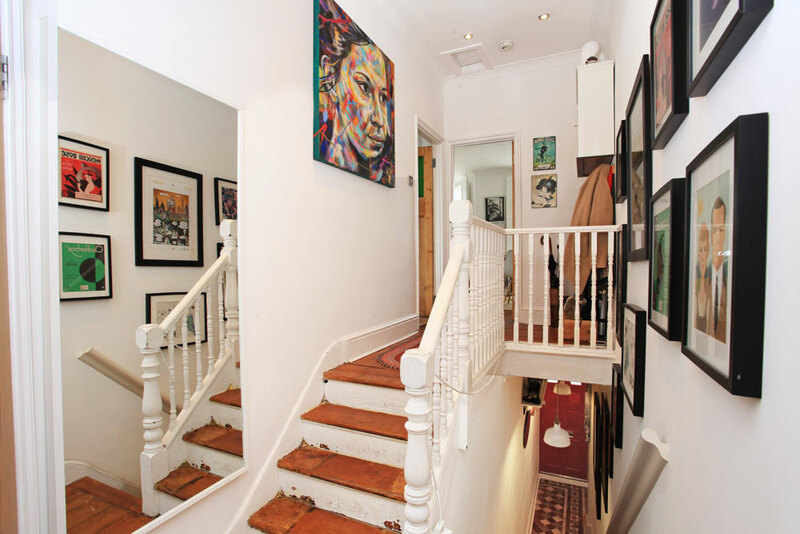 The above mirror placing gave this landing that extra wow factor, as it not only cleverly created more room to the eye but it also was a great way of reflecting the fantastic art work on the walls turning this split level landing into its own unique art gallery! We do love the look of a mirror hanging above a fireplace, but in this case the homeowners decided to place the mirror on the back wall of their lounge/diner, which we must say not only looked amazing but did a fantastic job of making the room feel brighter and larger. 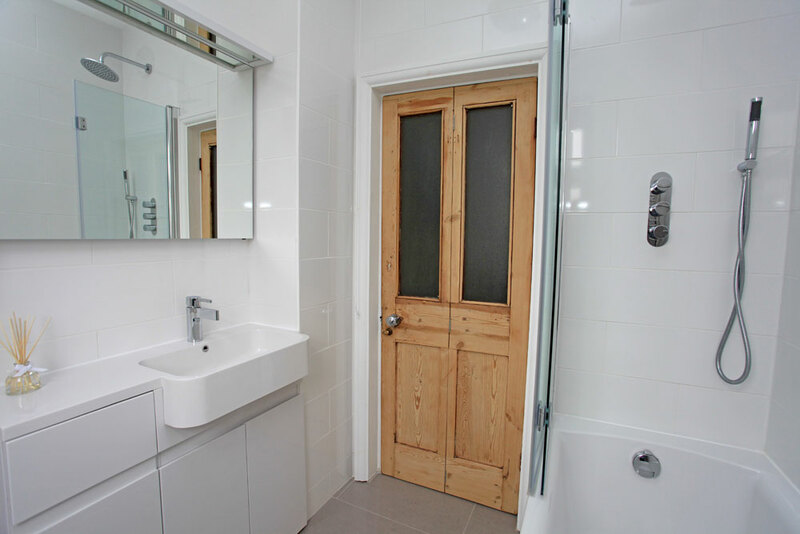 Mirrors in bathrooms are a great essential to have, not only for practical reasons, but also for adding more light! The two examples of mirrors above show the vast variety of options available that can be used within the bathroom and how sometimes the most unconventional of mirrors for a certain room in your home can give the most beneficial outcome. 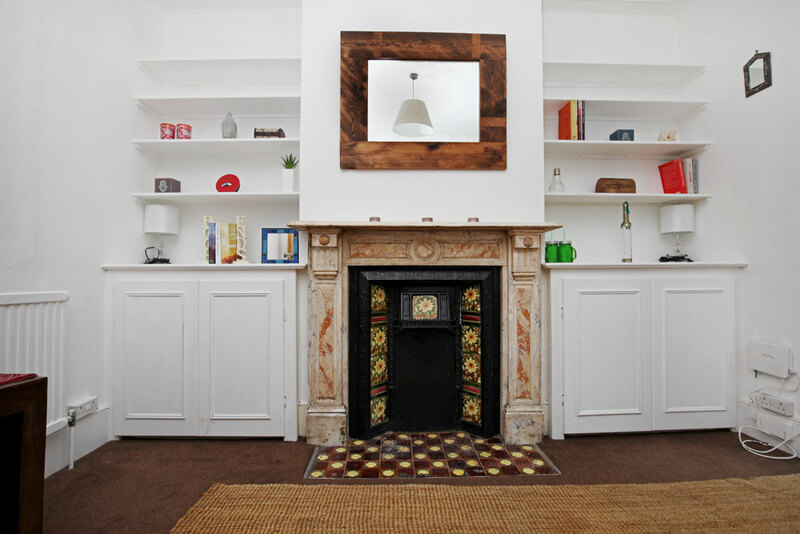 Creating space and storage within your home can be a tricky task, but a great way to add a little extra storage without having to sacrifice room, is by using chimney breast recesses to your advantage. 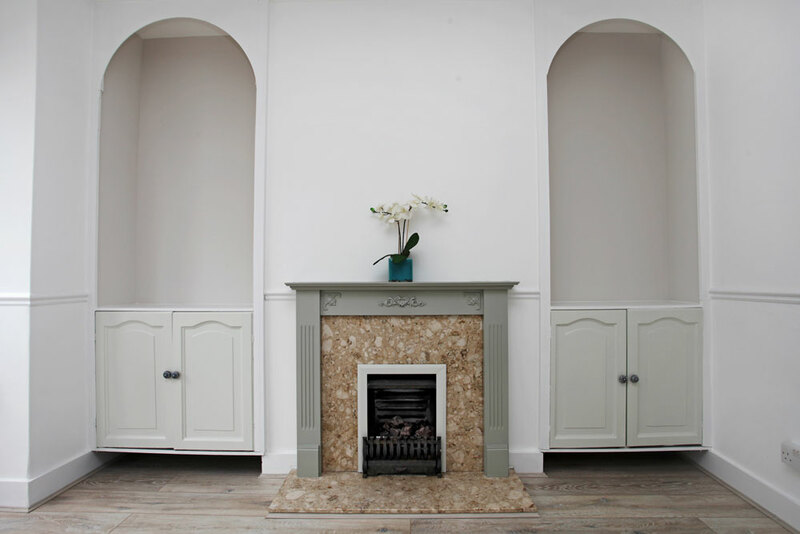 A popular trend among many of the homes we visit, chimney breast recess storage is a great interior example of adding to a room without taking much away! 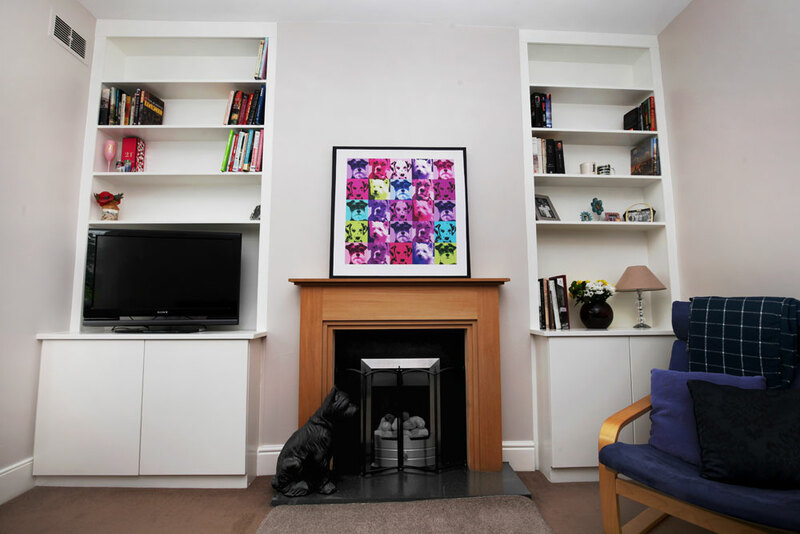 We like how the above picture incorporates not only shelving for display use , but also built in cupboards that can also come in handy as a TV stand! 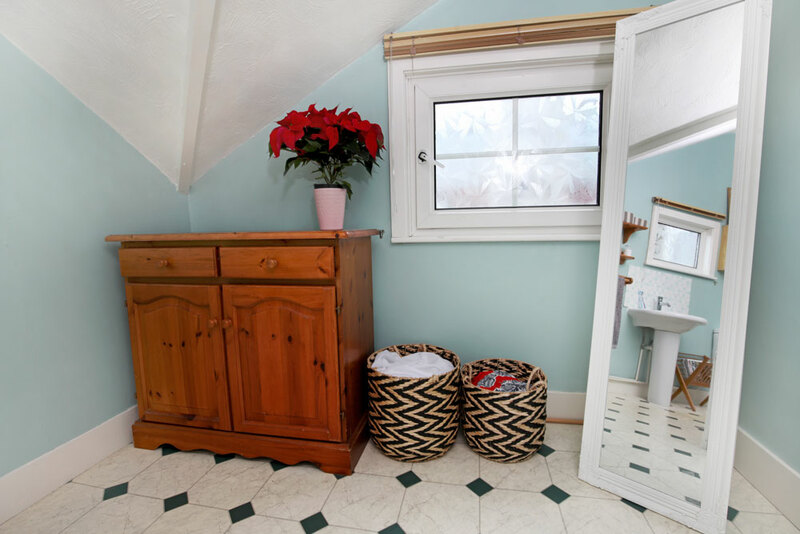 We love how ornate the above recess storage looks and how it added that something extra to a neutrally decorated room, the cupboards are again a nice touch without taking up any extra space! We think that the open shelving in the above photo looks great, along with the built in cupboards you are spoilt for choice when it comes to excess storage. 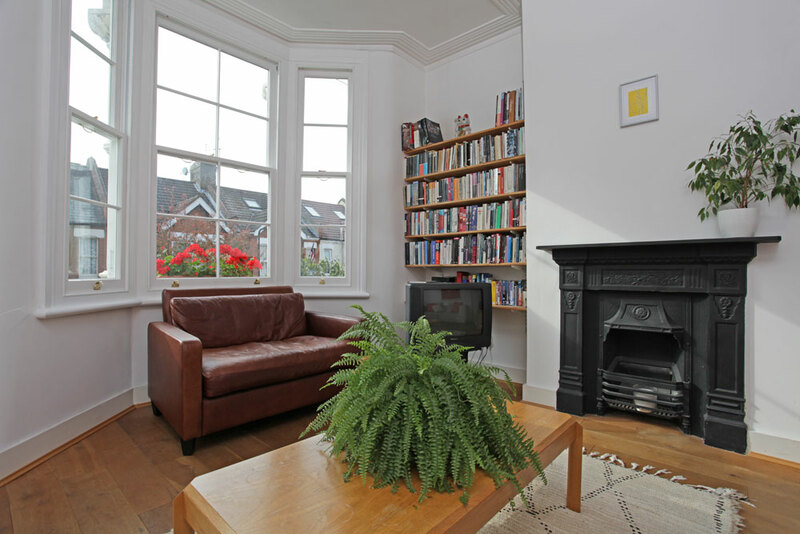 If you just need to store those books somewhere neat then the above photo is the perfect example of how just a few shelves within the chimney recess helps to not only neatly store your books away, but also keeps space usage to a minimum! We hope you enjoyed this weeks ‘Home Inspirations’ post and we’re already looking forward to the next installment, so stay tuned!